The AUUC Archives has an extensive collection of photos both mounted and loose. Additional photos are available as part of a particular fonds. 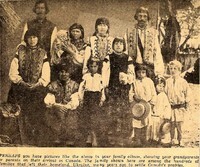 Group photo of immigrant family from the Ukraine. 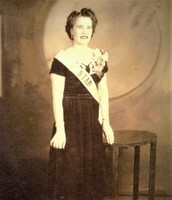 Portrait of AUUC pioneer Mary Arrowsmith wearing a "Star" sash. AUUC dancers posing at Clinton Hall. Director: Nazarevich.